Tonight at the Bell Centre the Boston Bruins will go for their third win in eight days against their bitter rival, the Montreal Canadiens. After stomping the Islanders 5-2, the Bruins continued their recent tear across the NHL. Currently the Bruins have earned points in fifteen contests (11-0-4). 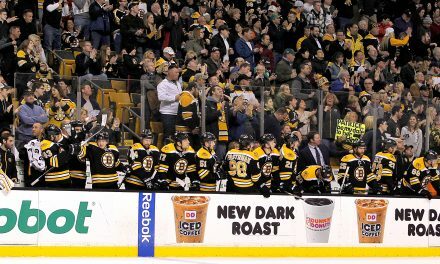 In the past 27 games for the Bruins they are a league best 20-3-4. This has propelled them within five points of the Tampa Bay Lighting, with still a game in hand. The question surrounding this team has been what is their ceiling this year. This team is loaded with young talent and if Sweeney plays his card right they could contend for the next three to five years. 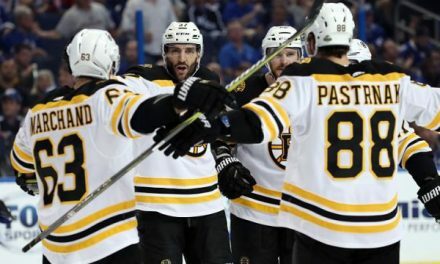 The Boston Bruins currently have six players in their starting lineup under the age of twenty-five, and five players under the age of twenty-two. The young talent up and down the Bruins organization is breathtaking to put it lightly. 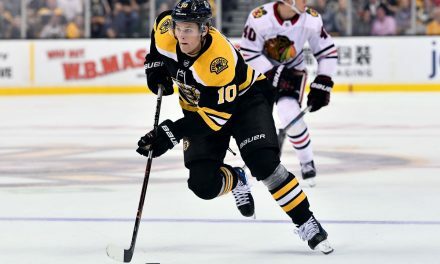 On top of the young players making a difference at the NHL level the Bruins have plenty of players in their system who they believe can become legit NHL players. Namely Zach Senyshyn, Anders Bjork, Peter Cehlarik, and Austin Czarnik. If it was not for the plethora of young talent already making an impact at the NHL level then at least two of these kids could be on the NHL roster. At this point Sweeney has all the leverage in the world. It’s really hard to see how he could screw this up. All he has to do is hold onto his young pieces and let it lay out. Up to now that has worked quite well for the B’s. The Bruins have as good a chance to win the Cup this year as any team in the league. They also may be the team best suited to contend for the next half decade. With the foundation of Charlie McAvoy, Patrice Bergeron is showing he still has plenty left in the tank with two hat tricks in the last couple weeks. The Bruins have a strong core up the middle, not to mention the abundance of offensive talent on the wings. The Bruin’s offensive talent alone isn’t the driving force of their success. It is the coaching and defensive effort of the team. As of today the Bruins are second in the NHL in goals allowed per game. Goals are hard to come by against the Bruins but they become noticeably harder as the game progresses. The Bruins have allowed thirty-three goals in the third period this season, which is the lowest amount of any period they play. So not only can the Bruins defend, they can slam the door on an opponent when it matters most. 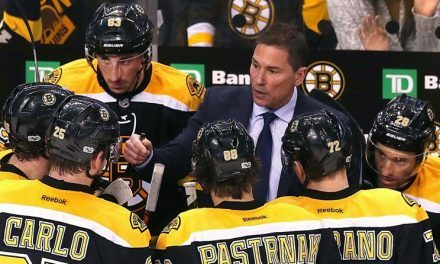 When it comes to adversity this team continues to be excellent under Bruce Cassidy. When leading after two periods the Bruins have not lost in regulation securing 42 out of 44 possible points (20-0-2). Also when tied after the second period the Bruins only have one regulation loss (5-1-3). These are all the signs of a legit Stanley Cup team. If the opponent leaves the door open the Bruins are going to cash in. 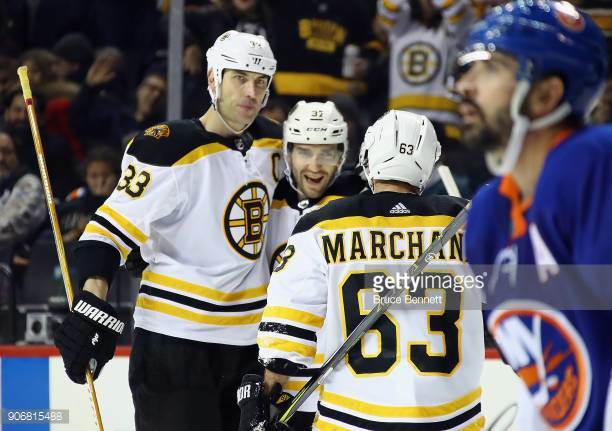 The grind of the 82 game schedule may be a bit much for the young players and the old Zdeno Chara. However do not be surprised if the Bruins are the one hoisting the Stanley Cup in mid June.